California Driving Map. Topographic features, back roads map. 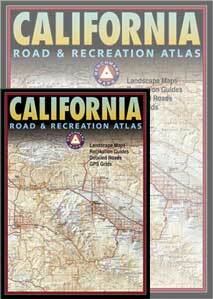 Benchmark’s California Road & Recreation Atlas. 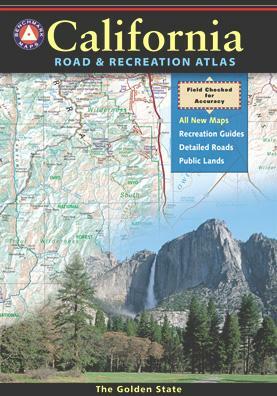 It is the ideal state-wide map for any outdoor enthusiast. 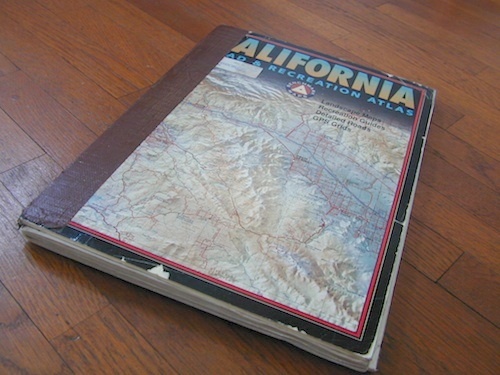 Excellent for exploring all of the golden state from the deserts of SoCal to the rivers of NorCal. 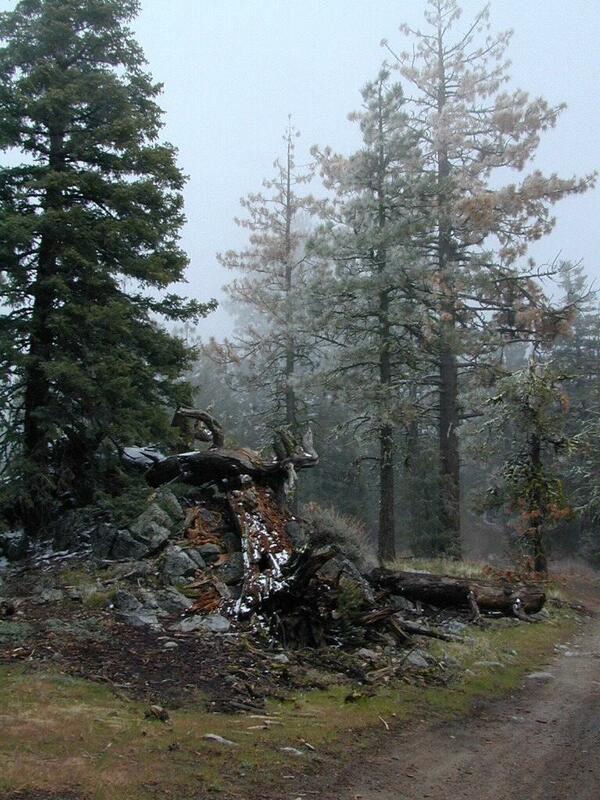 CA Atlas highlights include – all lakes, trailheads, Wilderness Areas, Campgrounds, National Forests, State Parks, National Parks, outdoor recreation destinations, plus extensive back roads (dirt & paved). One of the most successful California map products of our time! Featured above is the current edition being sold; DanaMite actually prefers the look of the less-digitized version – the popular 2nd edition (printed in 2000), shown below. Easier to read maps, less text, less information overall, less busy looking.